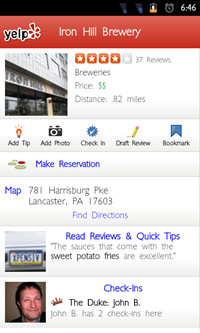 Score another win for Yelp in its battle against Google Maps: in the most recent update, Yelp's Android app gained the ability to make restaurant reservations thanks to integration with OpenTable. 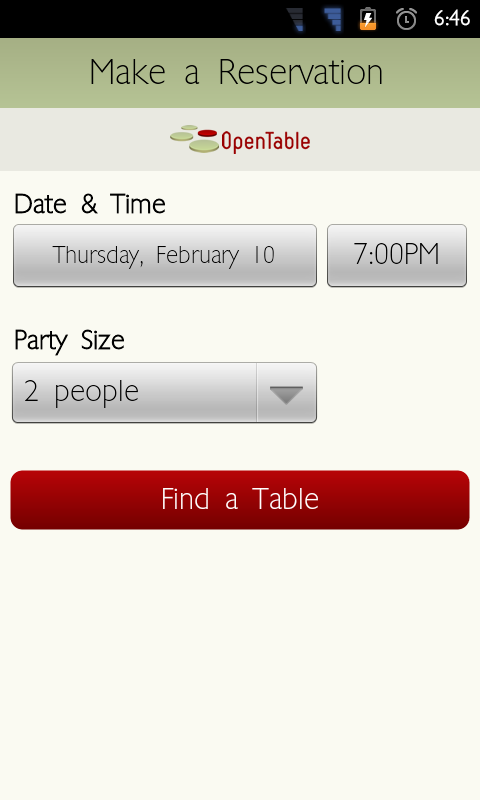 For those already familiar with the reservation-making app, you'll notice that it's pretty much the same experience - the "Find a Table" screens on both are virtually identical, both of them allowing you to choose the date, time, and party size for your reservation. 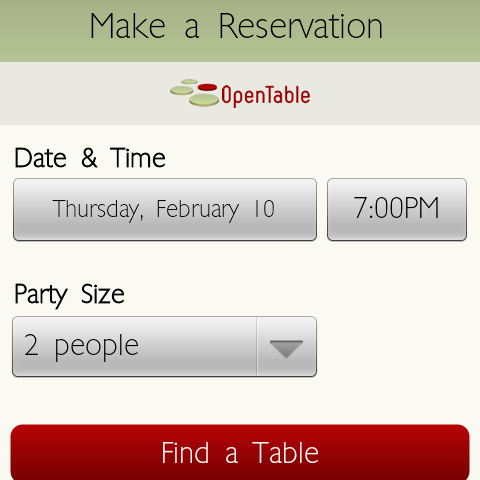 If you're already a Yelp user, there's really no reason to use the actual OpenTable app anymore. I have to commend Yelp on so seamlessly integrating this new feature into its app, and doing so through a partnership with the already-popular OpenTable. Your move, Google Maps.